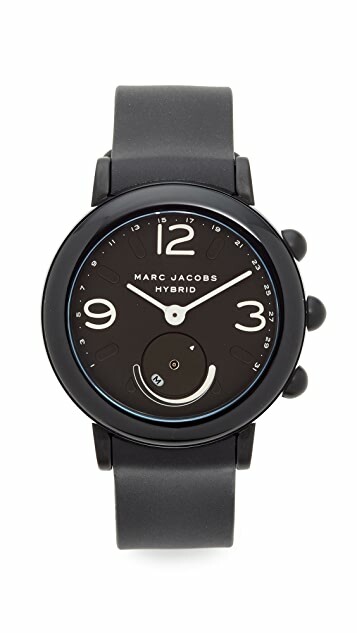 A glossy acrylic case and tonal silicone band create a clean, futuristic look on this Marc Jacobs smartwatch. 3 large numerals mark the hours. 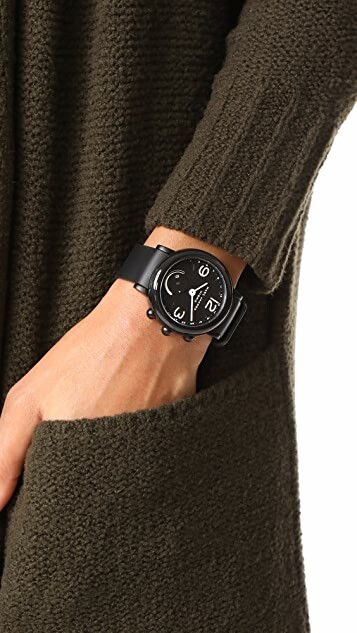 Adjustable band length and button closure. 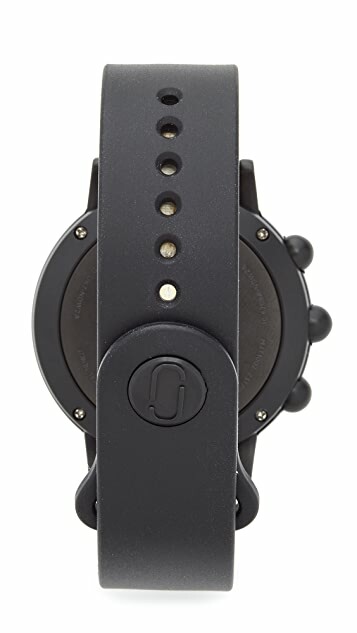 Includes discreet notifications, remote music control, activity tracking, and syncs to your smartphone via Bluetooth.